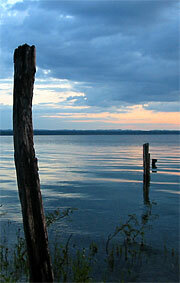 At the foot of Posada del Cerro, you will find one of the biggest (100 km²) and most beautiful lakes in the region. Its crystal clean waters and pleasant temperature all year long makes it a special attraction. You will enjoy a refreshing swim after your hike in the tropical forest at the different archaeological sites.